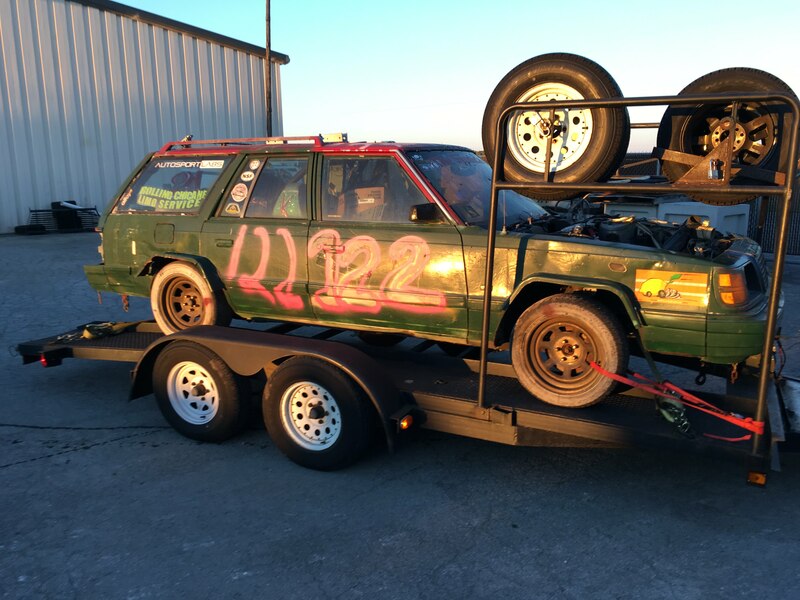 Did you build something incredible, stupid and/or incredibly stupid for this year's winter Lemons Rally? Shoot me an email if your rally hooptie might be worthy: stef[dot]schrader[at]jalopnik.com. Looking for weirdo swaps, absurd resurrections, fun stories—you know the drill. Try and get with EyeMWing, we don't have room with the cage to get the other seat in unfortunately. But perhaps you could sit on the un godly pile of crap going back with it. Bring your Glitter and glue!!! ... Actually now that I think about it, it might be a Reliant. Yeah, I believe it's an '86 or 7 Plymouth Reliant. We kept it a secret by regularly posting about it here on the forums.